Barb supports the Children's Pastor for the Noblesville locations. She forms relationships with children, volunteers and parents, so that our children's first glimpses of God will lead to a lifelong journey with Him. 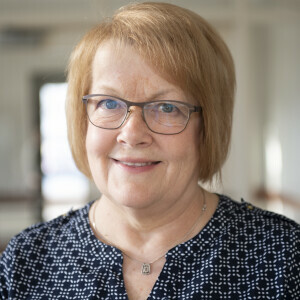 Barb attended Lincoln Christian College and Purdue University and worked for the Lake Central School Corporation as a school treasurer and administrative assistant for 25 years. After retiring from Lake Central, she moved from the Chicagoland area to Noblesville to be closer to her children, Kristi and Shannon, and grandchildren - Avery, Brady, Jay and Tessa.